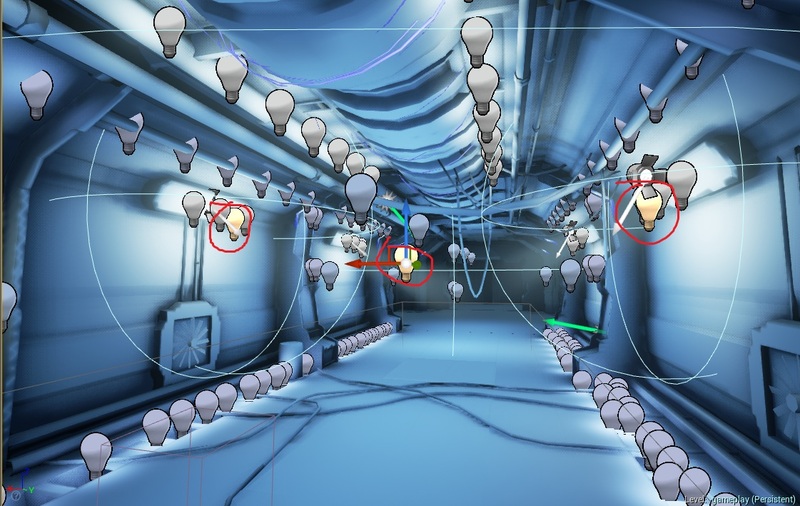 Basically lighting and preparing scenes is big piece of cake of game development and there are separate positions for people doing this. Graphics Level Designers, Lighters, Meshers – it depends on company, but mostly they have graphics knowledge. 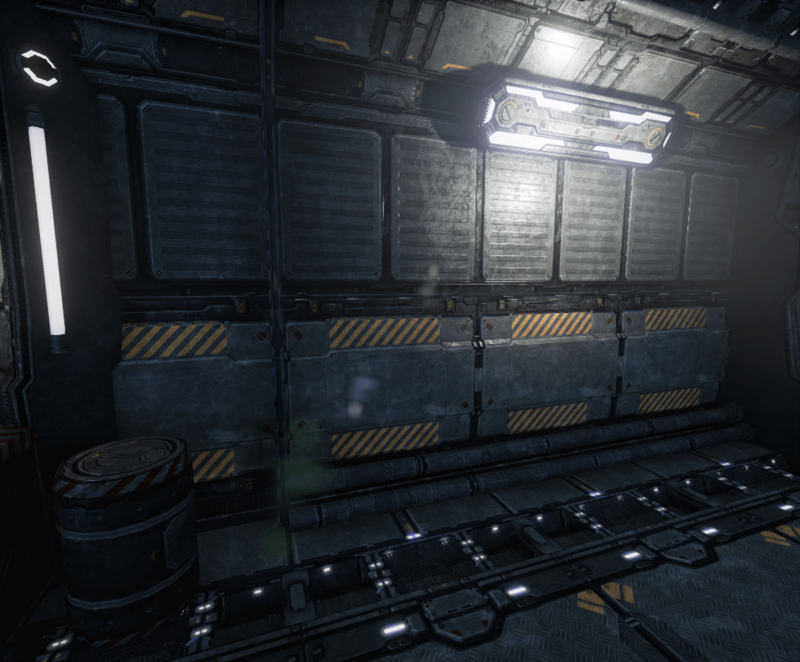 In earlier post I showed you some great sci-fi enviro assets packs. In this post I will use pack from Manufactura K4. Please read post about importing this pack from Unity to Unreal Engine 4. You should read Creating Basic Scene as well. As always – take your time! You won’t learn this if you won’t invest your time on reading the docs and creating prototypes. It’s better to test this out on test scenes. 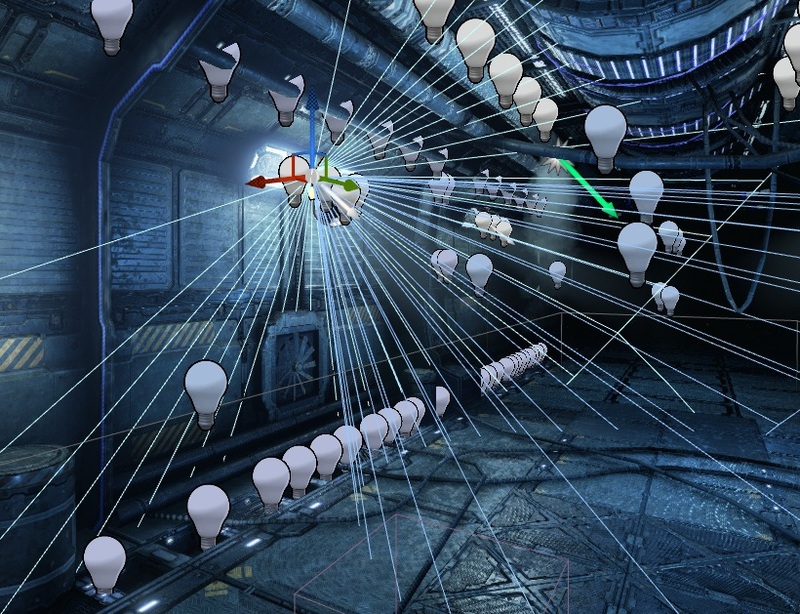 Compress Lightmaps. If your level is small you can turn this off. 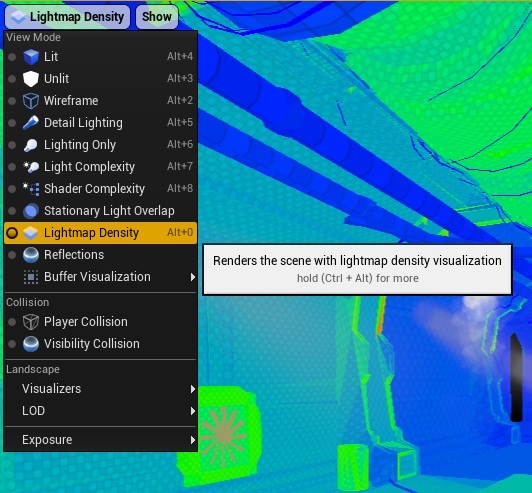 All lightmaps will be uncompressed with much more better quality. Disabling this will make your level 4x bigger size on disc. 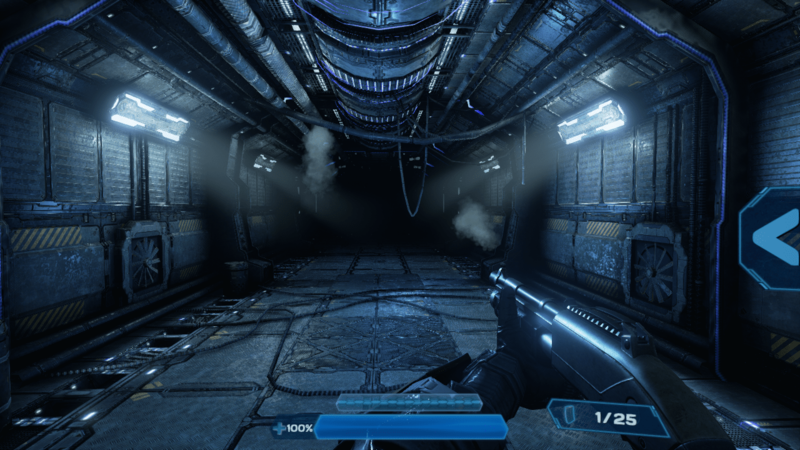 When working with static lighting make sure you have proper lightmaps resolution. I have only 3 stationary lights on the scene. 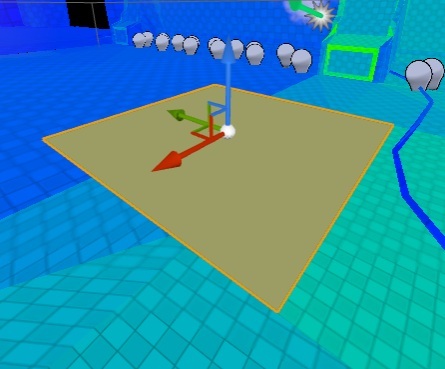 Stationary lights are dynamic so your materials will look much more better in Stationary light radius. Rest of my lights are static. I have 4 envrio lights with bigger radius and rest lights are really small to drive small emissive lighting. I’m using spot lights as well on the big lamps. After you are happy with your lightmaps insert Sphere Reflection Captures. I have two of them near gameplay area. There are still issues with reflections captures on mobile, but you can use mobile preview to check the results out. 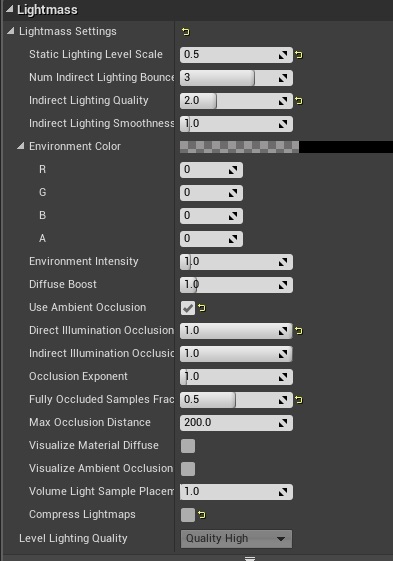 If you are happy with your lighting insert Post Process Volume into the level and check Unbound on it. There are lot of options there and I don’t want to go thru them. I think it will be better for you to play around with them! 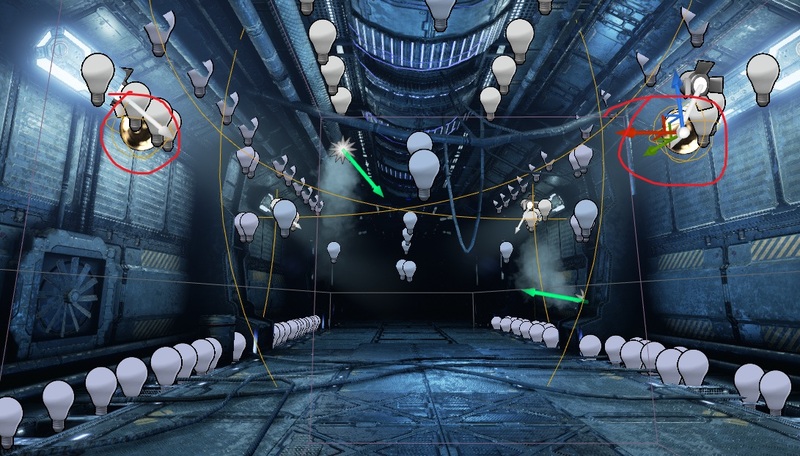 If you want to create better scenes my tip is – watch lot of movies, watch screens from other games! Check how others are doing it. Results that you can use as reference.